No matter what type of glass you choose, the basic factors remain the same and without caring for them enough, your purchase might not be appreciated much. Remember, the most important thing that matters when choosing a wine glass is the shape and size of the bowl. All the different types of wine glasses you see are given their names and purposes based on the bowl’s shape and size. Secondly, you might see a few trendy wine glasses without a stem but it plays such an important role that it cannot be ignored when choosing a wine glass. The bowl shape should enhance the swirling effects of your wine and stem there so you could hold the glass in your hand from the stem instead of fingerprinting the bowl. Another reason why stem is recommended is to ensure that wine in your glass retains its temperature, which would get warmer otherwise. Fineness of the glass or crystal is also of utmost importance because you don’t want to change the taste and color of your wine. 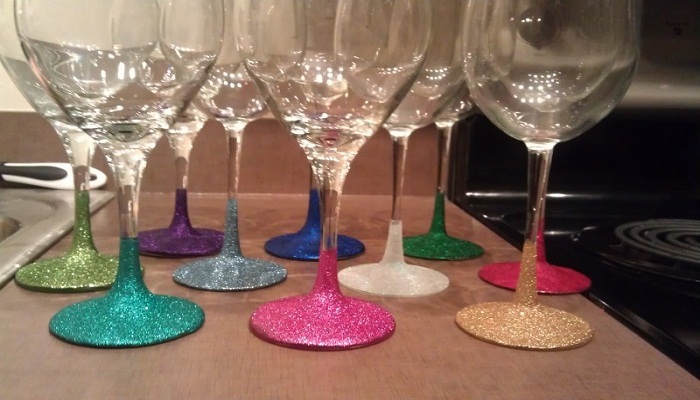 Always choose thin glass or crystal for your glass because thicker glass has its effects on your wine’s taste. There are different types of glasses suited for different types of wines. The types of wines you will have to work with when choosing the wine glass include red wine, white wine, dessert wine, pinot noir wine, shiraz, port etc. You might want to know the choice of wine of the person who you are about to buy the gift for. Once you have known these things, you can easily start browsing personalized wine glasses and choose the one that’s best for your loved one. Once the type of glass is clear in your head, it’s time to spend a few more moments on contemplating the type of paint on your wine glass. The art you choose should match the taste and artistic likeness of the person you are about to give the glass to. It might also change depending on the occasion when you are giving the gift. For example, if you are giving a personalized wine glass on the bridal shower, you should know what type of art should be best on this occasion. You could choose to paint a love quote on the glass or simply draw a couple to signify the relationship between you and your loved one. Remember that paint doesn’t change the taste of wine in the glass because it is done on the external surface of the glass and never comes in contact with the wine. Enamel paint from a recognized manufacturer is highly recommended when you are doing the painting or if you are not very creative with drawings and paintings, you could hire the services of people who specialize in this field. It is highly advised that you leave a little empty space before the edges so the lips don’t come in contact with the paint while drinking. Separator image Posted in Home Improvement, Lifestyle, Reviews and tagged with personalized wine glasses, wine glasses. Just how are your alloy wheels made?